I’m so happy to be able to share this gorgeous autumn colouring sheet with you today! I’ve shared a few of our favourite free autumn colouring pages before (see the link at the end if you want to check them out) but this lovely design has been drawn up for us today by my fantastic contributor Kelsi and it’s absolutely perfect for kids! 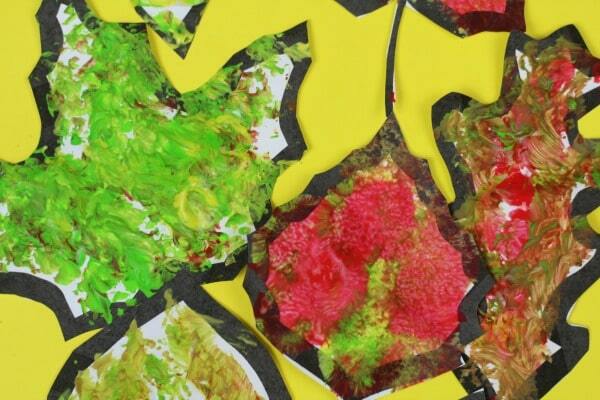 Recently I shared some fun autumn tree painting ideas for kids and today it’s time to share some more fun ideas with these autumn leaf painting ideas. Both posts have a free template with them so that you can recreate this at home (or come up with some new ideas!) with a little bit of a hand on getting things set up! 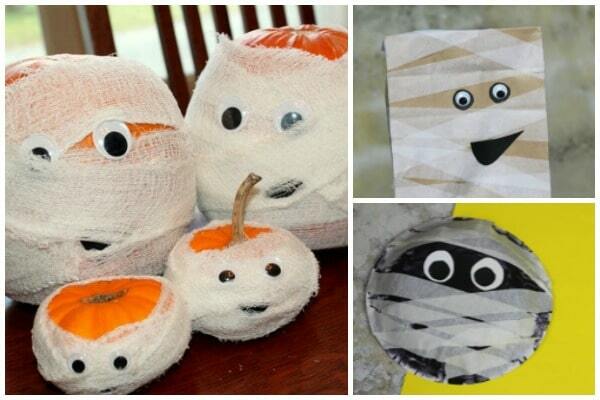 I’ve shared quite a lot of Halloween crafts recently but I couldn’t resist making you this little round up of Mummy crafts for kids! 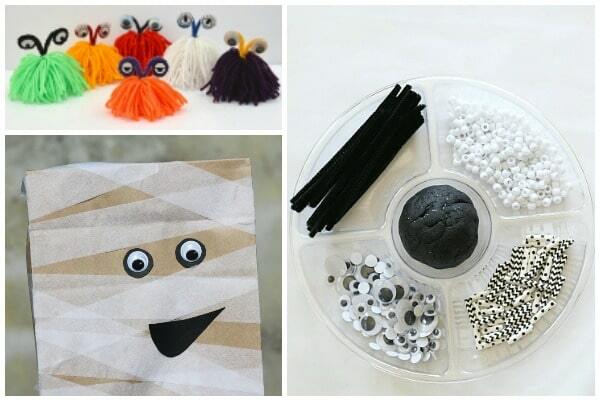 I love mummy crafts and my kids do too – they think they’re spooky or scary and I can see loads of ideas with fine motor skills as well as some crafting fun, everyone’s happy! 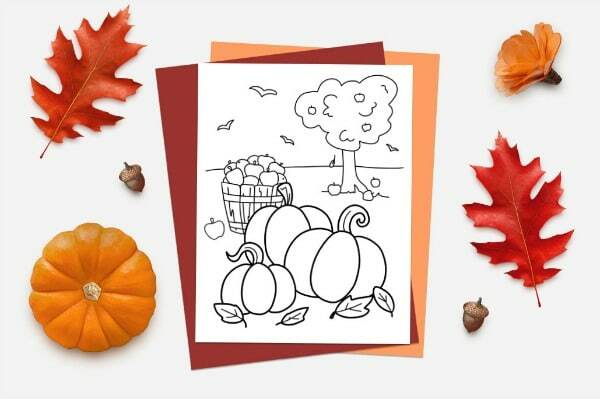 This is such a quick and simple activity but it’s a fun one and if you use our free template you can create some pretty autumn art to hang on the wall. 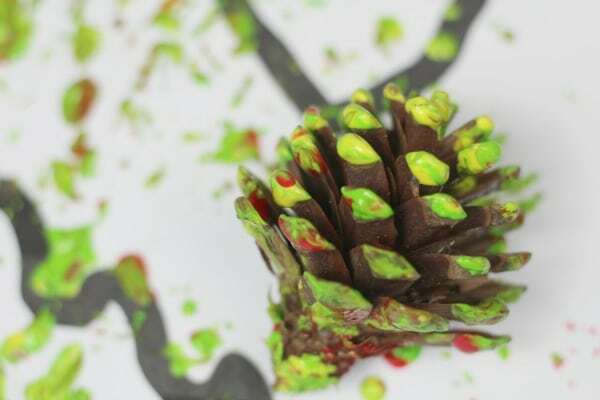 Plus it’s a great excuse to go out and look for pinecones – what’s not to love about that! Halloween is a great time for kids to get creative and as I’m sharing over 40 Halloween activities for preschoolers today with crafts, sensory play ideas, DIY puppets and fun literacy activities there should be plenty to inspire both of you!